With world-class cooking equipment, it’s easy to bring to life recipes from all over the globe. Today, we take a break from your usual chicken meal by serving this flavorful Korean treat. 1. Blend all the ingredients for the marinade and soak the chicken. Allow the chicken to marinate for no less than 30 minutes to an hour. 2. 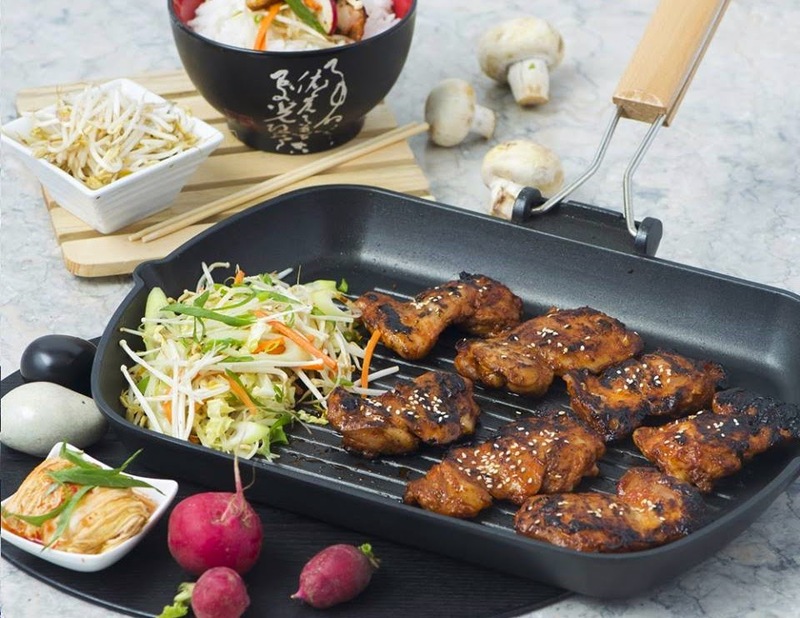 Preheat a Chef’s Classics grill pan on medium to high heat. Spread 1 tablespoon of olive oil, and the leeks and carrots. Fry both until soft. 3. Mix the cabbage and enoki mushrooms and fry until the vegetable is cooked to your liking. Add a pinch of ground white pepper for seasoning. Transfer to the serving bowl and set aside. 4. Put another tablespoon of olive oil into the pan and fry the chicken till cooked. 5. Slice the cooked chicken into strips and place on top of the vegetables!